New customers who open a Packers checking account in branch or online will receive a limited edition 100 Seasons Packers Legacy Ticket. In celebration of 100 seasons with the Packers, Associated Bank will continue to provide Packers fans with new, exclusive opportunities to show their pride and receive unprecedented access to their favorite team. This season’s Join the Legacy campaign features interactive in-stadium, online and community activities, including an opportunity to win¹ a one-of-a-kind VIP experience at Lambeau Field. 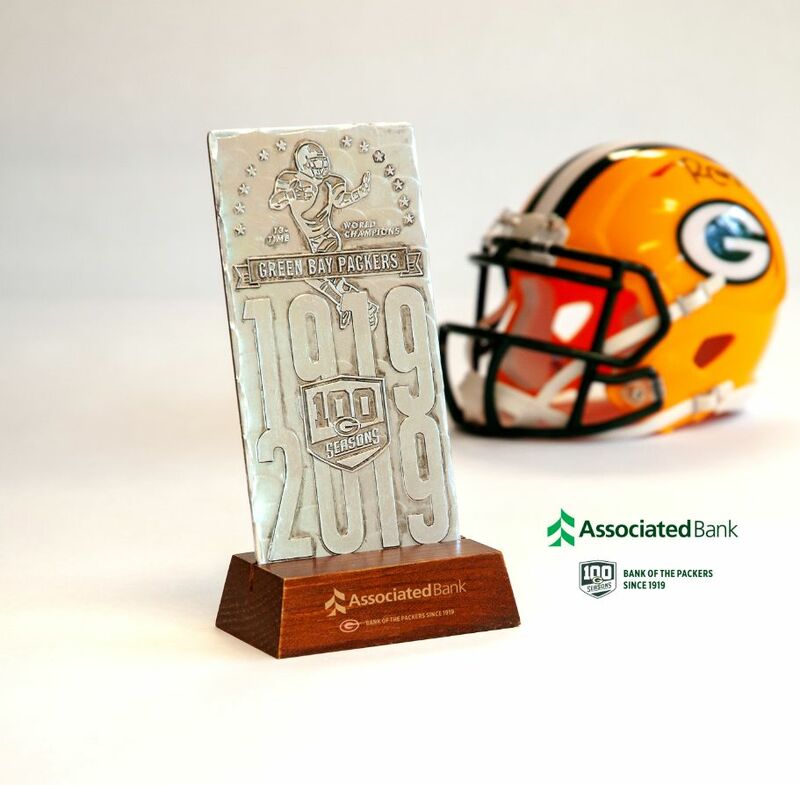 In celebration of being the official bank of the Packers since 1919, Associated is offering new customers who open a Packers checking account in branch or online, a limited edition 100 Seasons Packers Legacy Ticket². It comes with a Certificate of Authenticity from Packers CEO Mark Murphy. In June, Associated announced new partnerships with Green Bay Packers alumni Donald Driver and Jerry Kramer, and an extended partnership with Green Bay Packers receiver Randall Cobb. The trio spans three generations of Packers history. Also in June, as part of the Green Bay Packers’ 100 Seasons celebration, the traveling exhibit Lambeau Field Live, presented by Associated Bank, was revealed and began its statewide tour in July with stops at Northern Wisconsin State Fair, EAA AirVenture, Wisconsin State Fair and Taste of Madison. This traveling interactive exhibit includes everything fans love about Lambeau Field, bringing the experience of the iconic stadium throughout the state. Visitors can experience Associated Bank’s award-winning “Interact With The Pack” virtual photo experience where they will have a quick virtual interaction with one of four Packers—Cobb, Driver, Kramer or David Bahkitari—and pose for a photo that will come autographed by their selected player. Fans can then download or share this photo via social media. On game days, “Interact With The Pack” will also be located in the Lambeau Field Atrium and the Johnsonville Tailgate Village in the Lambeau Field parking lot. Campaign components later this year will include a community Stock the Box™ for Hunger event, Packers Ticket Sweepstakes and business to business events for clients. 1. NO PURCHASE NECESSARY. Sweepstakes begins on August 1, 2018 and ends on December 16, 2018. Drawing is only open to legal residents of IL, MN, or WI, age 18 years or older. Void where prohibited by law. Odds of winning will be based on the number of entries. A purchase does not increase your chances of winning. See official rules for details including how to enter by mail AssociatedBank.com/PackersFan.